Netanyahu says that he is being framed, alleges Attorney General pressured into indicting him by raucous left-wing protests. Prime Minister Netanyahu alleged during an interview with the 'Likud TV' program that Attorney General Avichai Mandelblit was pressured into indicting him before the elections. Mandelblit had told Netanyahu that he will announce his expected decision to indict him before elections, rebuffing requests by the premier that he wait until after the elections. "For three years they have been demonstrating against him at the supermarket, in the synagogue ... The leftist demonstrators say to him, 'You are a rabbit, you are a rag, If you do not indict, you're not a person, you're nothing." said Netanyahu, referring to the weekly demonstrations outside the jurist's house. Netanyahu added that the protests caused Mandelblit to "succumb under pressure. It's very unfortunate," he said. "My lawyers filed a demand to round out the probe and bring documents and over 60 vital witnesses to prove my innocence. They ignored it completely. They didn't care, no one cared," said Netanyahu. "It is amazing- this is perhaps the most important legal process in the history of Israeli law, and they did not do anything like this." 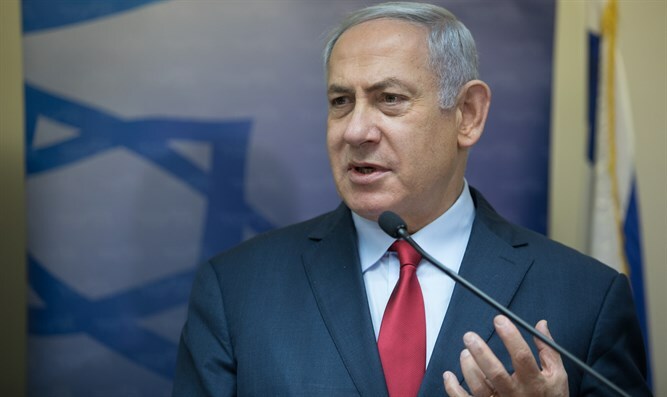 "I just hope that when the Attorney General has to decide whether to charge me with bribes for two and a half articles on the Internet, he will not do this absurd thing," said Netanyahu, referring to the investigation known as 'Case 4000'. The case centers on suspicions that a Netanyahu aide provided chief Bezeq shareholder Shaul Elovitch with regulatory benefits in exchange for sympathetic coverage to the prime minister and his wife on the Walla! news website, which is owned by Elovitch as well. Netanyahu decried the fact that "they are not even investigating Yair Lapid and Tzipi Livni and 42 other Knesset members who gave Noni Mozes and Yedioth Ahronoth the Israel Hayom Law that would have brought hundreds of millions to Noni Mozes and received not two and a half articles on the Internet, but rather libraries of caressing articles". Netanyahu was referring to 2014's 'Israel Hayom Law', which would have shut down the free daily and boosted Yediot Aharonot's earnings.